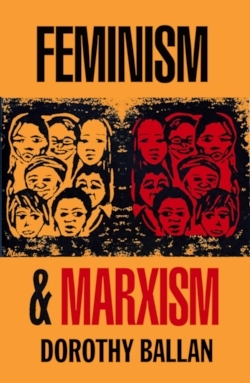 Workers World republishes this article for our readers as it focuses on the progressive response to the reactionary and xenophobic anti-Islam forces in Germany. Recent events here in Germany remind me of a playground seesaw, with constant ups and downs of one side and the other. All autumn, we watched the upward swing of “Patriotic Europeans against Islamization of the West” (PEGIDA) most rapidly, but not only, in Saxony’s capital Dresden [in southeastern Germany]. Its main features were a fast-talking, shady leader with some eerie charisma, plus foggy dissatisfaction with just about everyone and everything: most politicians, the media, but especially poor job, rent and pension situations and fears for the future, plus, most dangerously, the channeling of such fears and worries into a dull hatred of anything and anyone “foreign,” especially the often arbitrary placement of newly arrived Syrian and Iraqi refugees into their hitherto closed communities. PEGIDA’s Monday “walks,” although ambling and nonviolent, disturbingly recalled the murderous stamp of booted, brown-shirted marchers of a previous generation. And some gimlet-eyed neo-Nazis reinforced such recollections. But soon, all over Germany, the other end of the seesaw swung upward. 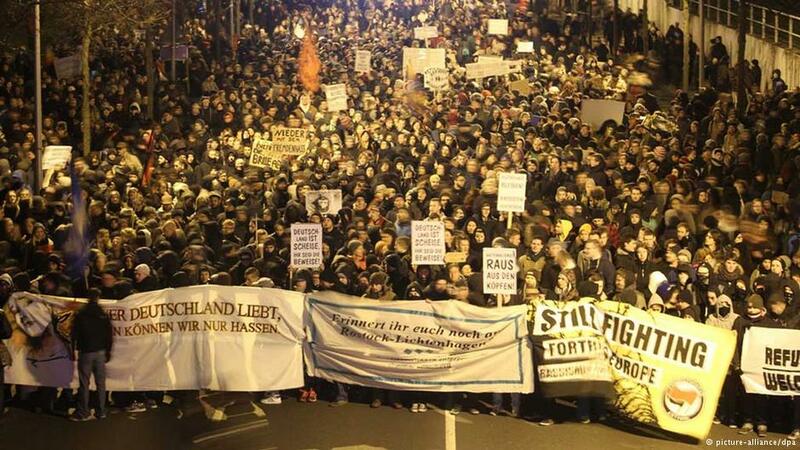 More and more thousands demonstrated against the hatred crowd, welcoming asylum seekers and reassuring peaceful Muslim families long resident in Germany. They greatly outnumbered and at times blocked the path of the PEGIDA people — everywhere but in Dresden. In Leipzig, Dresden’s rival in Saxony and with a very different heritage, never a royal court but open to trade fairs since 1165 and book fairs since the 17th century, PEGIDA rallied 4,800 marchers in early January — but its opponents were 30,000. Then came the “Charlie Hebdo” murders. Would narrow, blind distrust of “those Muslims,” dormant but present among about half the population, witness a new, upward PEGIDA thrust? It did — but, happily, only in Dresden. Five days after the murders in the Rue Nicolas-Appert, 25,000 people marched in Dresden, the city on the Elbe river, but everywhere else they were a small minority. At the far-off mouth of the Elbe, in Hamburg, only opponents of racism demonstrated. Leaders from almost all parties joined at Berlin’s Brandenburg Gate with organizations of Turks in Germany to oppose both bloody violence and murder but also Islamophobia. Even Chancellor Angela Merkel spoke up, stating surprisingly that “Islam belongs to Germany” — almost a heresy only a few years ago. Not everyone sang so happily in this new choir. Surface unity about Charlie Hebdo began to unravel, with some approving, some objecting to the provocative nature of its caricatures. Others noted that many of the presidents who lined up in Paris sinned against press freedom in their own countries, and that Netanyahu’s triumphant waving was aimed not at mourners or freedom lovers but at voters back home. Some in Merkel’s party broke ranks and voiced well-worn reservations: “Yes, maybe Muslims are OK, but certainly not Islam” and “Now we must tighten surveillance of just about everybody to save ourselves from all those fanatical terrorists.” These oversimplified old tunes caused some early hopes to sink again. It was back to Bush again — terrorists were the big enemy. On Jan. 13, terror did hit again. Not the kind loudly denounced in Paris, Brussels, Berlin or Washington, but in Dresden. Khaled Idris Bahray, only 20 years old, was found dead near the door to the building where he and other Eritrean asylum-seekers had been given a few rooms. For 30 long hours, crucial in finding clues and a murderer, the police called it “an accident,” somehow failing to notice the bloody gashes in his chest and neck. Nor had they been worried about swastikas painted on the building, even on the victim’s door, nor the fears of his dark-skinned group to even go outdoors. It seems that some policemen can suffer under disturbing eyesight problems (not only in Dresden). Khaled had simply gone shopping; on a PEGIDA Monday that was evidently a fatal mistake! That day, the marchers reached a strength of 25,000, while 8,000 courageous opponents used big brooms to “clear their streets of racist garbage.” Elsewhere the reaction to the murder was very strong; tensions heightened. Then, on Monday, Jan. 19, the Dresden authorities reported a mysterious, very peculiar Jihadist threat to kill PEGIDA leader Lutz Bachmann and decided to forbid not only his “walk” but all demonstrations in that city for a day, unleashing hefty debates across party lines on whether this might lead to more limitations on the constitutional right to demonstrate. Debates also multiplied on whether to talk with the reticent PEGIDA marchers or with their hardly reticent leaders. A coy flirtation developed between them and the new, “respectable” right-wing party, “Alternative for Germany” (AfD) and grew cozier. Some right-wing “Christian” leaders called for a “dialogue” and a talk-show host invited a PEGIDA leader to voice her carefully-tailored “moderate” views on prime-time TV. She and top boss Bachmann interrupted their shrill attacks on the “liar press” to hold an equally moderate-sounding, eagerly attended press conference. Such P.R. opportunities seemed to pay off. For Wednesday, Jan. 21, PEGIDA called for 60,000 supporters to gather in hitherto unfriendly Leipzig (there to be called LEGIDA). They later scaled that down to 40,000 but a police force of 4,000 visored police still moved in from all over Germany. A day before the big event, a Facebook “selfie” of Bachman was unearthed showing him mustached, combed and leering uncannily like Hitler. “Only a joke,” he explained. Even less a joke were his Facebook references to refugees as “a dirty mob,” “trash” and “animals.” Due in part to these discoveries, but also because his numbers were an empty boast, an estimated 10,000 to 15,000 bigots and unhappy fools showed up in Leipzig. Though protected by the police they were met at every turn by at least 20,000 counter-demonstrators. Then, in the evening of the eventful day, Bachmann found it necessary to quit his leadership job. The problems and the poison were not gone, but the future of PEGIDA, LEGIDA and its offshoots (even some in Denmark) remained very uncertain. Thus 2015 began in Germany with many protests and counter-protests, often centering on the fates of a flow of war-weary refugees, few of whom could understand the language, nasty or friendly, which circled over their heads and the provisional housing where they were lodged. 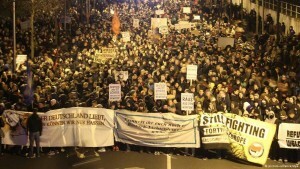 A very different protest, this time larger than expected, moved through central Berlin on Jan. 17. Organized by over 120 environmental, consumer and political groups, it denounced the planned giant trade agreements of the European Union, CETA with Canada and, with the U.S., the “Transatlantic Trade and Investment Partnership” or TTIP. The police counted 25,000 attendees, the organizers 50,000, but either way it was impressive, and 80 farm tractors rolling through town were loud and more easily counted. With the march scheduled during the annual Food and Agriculture Week, the protesters rejected everything from cruel stock-farm practices to American-style genetic modification, frequent antibiotic injections for animals and chemical meat treatment. A main organizer, Jochen Fritz, said: “The TTIP serves only the global concerns and will take away the means of existence from many farms here and across the world.” Countless signs and big puppets said, “We are sick of agribusiness.” Others lambasted Monsanto or demanded a global right to food and bans on genetic engineering. Both PEDIGA and TTIP are very important. But the most basic question is war or peace. Sending first weapons, and then military advisers to “aid Iraq,” billed as humanitarian aid, reminded older critics of a similar escalation in Vietnam. Even more worrisome is the escalation in the Ukraine and support for the unsavory government in Kiev, with the incessant media beating of Germany’s belligerent anti-Russian drums containing as many echoes of past tragedy as the marching racists. His words leave few doubts as to which side Yatsenyuk would have chosen … during that war — and still seems attached to. Neither Merkel nor the mass media took exception to his historic analysis and he will indeed receive more assistance from Berlin. The peace movement against the resulting menace is active but, sadly, still far from being united or powerful. There were also some happier thoughts — or wishes at least. Despite great pressure, largely from German bankers and their elected friends, Sunday’s election in Greece could represent a badly needed upward turn in Europe. If the long-suffering people of that noble but oppressed country vote in the left-wing Syriza party, and even though such a government would face giant odds against domestic and foreign foes, the victory for working people could respond to a threat already voiced in an old rhyme which, rarely noted, reflected fears and hopes of “the 99%” through the centuries. Victor Grossman was a foot soldier in the U.S. war machine who took refuge in the German Democratic Republic in 1952 and has lived in eastern Germany since. Author of a memoir, “Crossing the River,” he regularly writes commentaries on developments in Germany.